Happy Halloween! 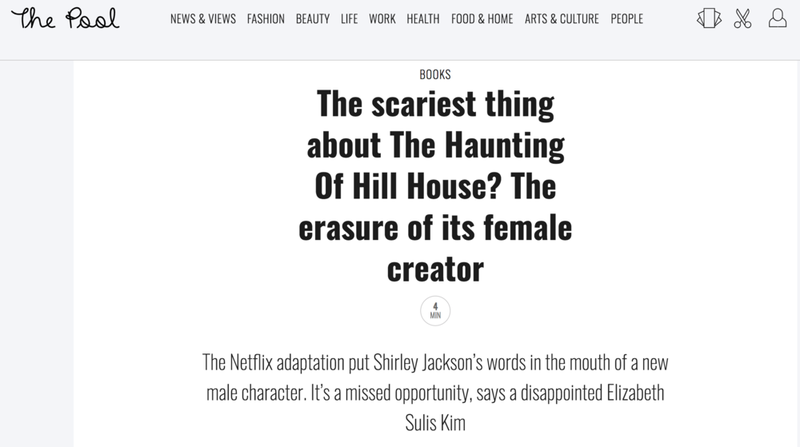 I wrote a piece about Netflix’s adaptation of The Haunting Of Hill House and how it compares with Shirley Jackson’s novel for The Pool. Read it here.